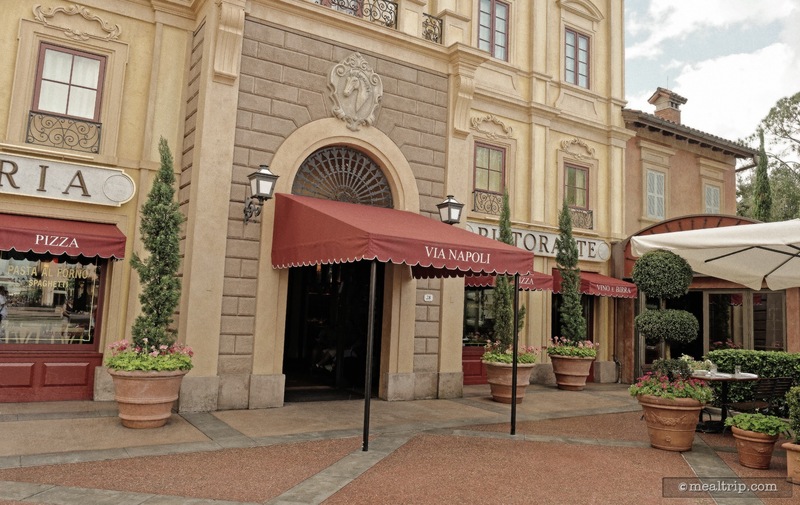 The Via Napoli Ristorante e Pizzeria listing is a Table Service (wait staff) dining location at Epcot featuring Italian cuisine. 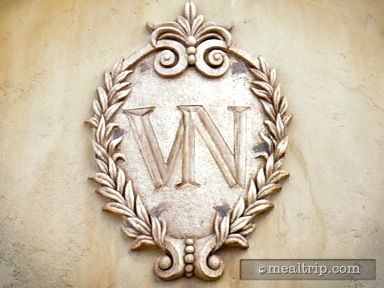 There are 3 photos in the Mealtrip photo gallery for this location and dining period. The Via Napoli Ristorante e Pizzeria listing currently has a score of out of 100. Click here to read all of the reviews for this location, or log in to Mealtrip.com to add your own review for Via Napoli Ristorante e Pizzeria. 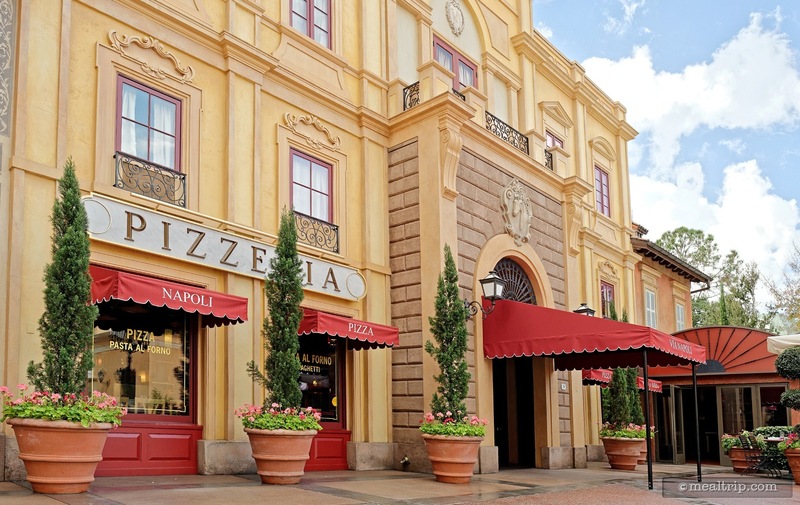 The Via Napoli Ristorante e Pizzeria is in the very back of the Italy Pavilion at Epcot. 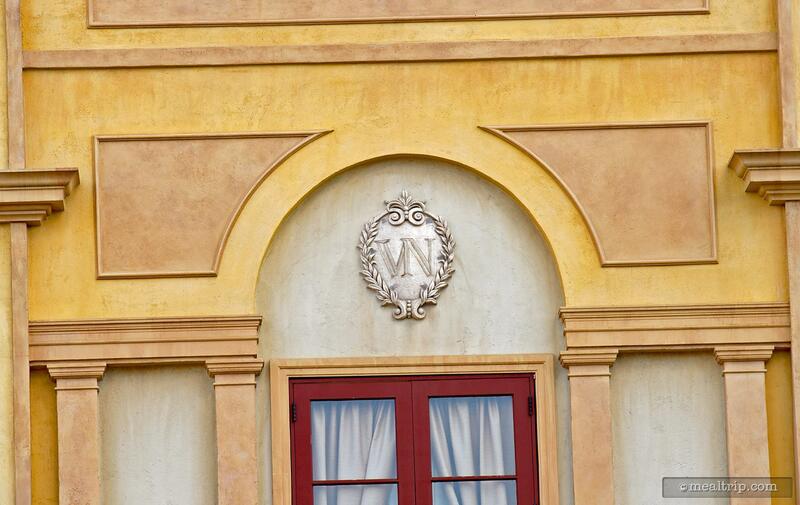 The Via Napoli logo over the entrance of this Ristorante e Pizzeri. The courtyard in front of Via Napoli looks like it could be from an Italian postcard!